Born 31 December 1947 in Warwick, England. June Tabor is an English folk singer. Her breakthrough occurred in 1976 when she recorded the album 'Silly Sisters' with Maddy Prior. Shortly thereafter in the same year, she recorded her solo debut, 'Airs and Graces'. She later joined again with Maddy Prior, this time using the name Silly Sisters for their duo. 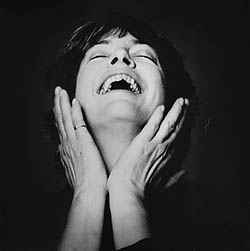 In 1990, June Tabor recorded an album with the folk-rock band The Oyster Band titled 'Freedom and Rain'. In 2004 she was named Folk Singer of the Year at the BBC Radio 2 Folk Awards.